We’re excited to offer safaris on horseback for the first time in 2017, a unique way to experience the wildlife and natural environment of Cawston. 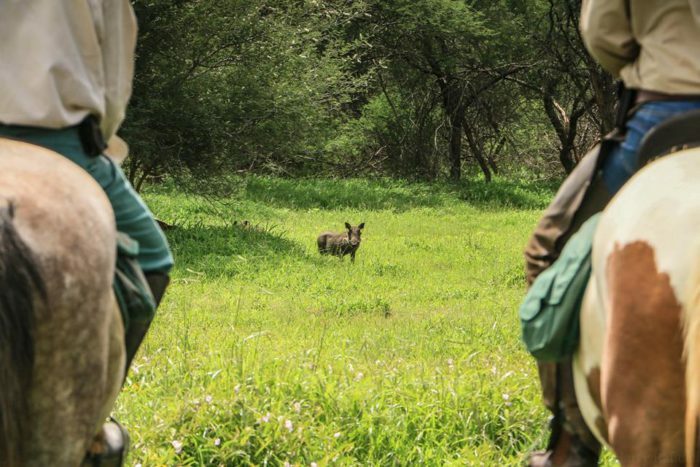 Primarily game viewing directed, horses can also be used for your hunting safari. The actual shot won’t take place from the back of your horse, but that you will use it as your mode of transport when out hunting. 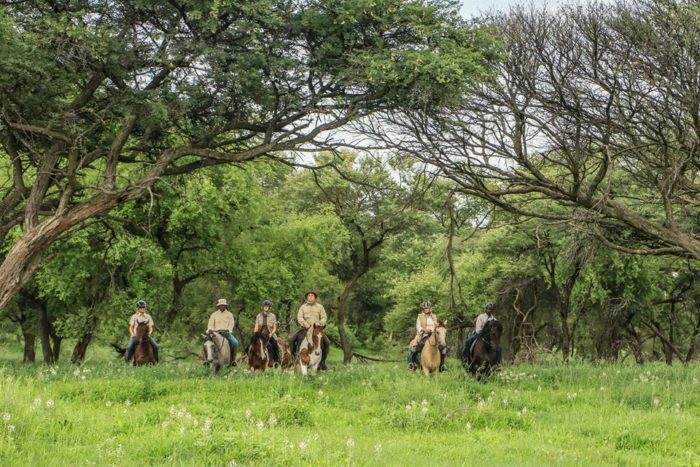 As I’m sure you’ll agree, traversing the bush on a horse gives you a very different perspective! Once you’ve found what you’re looking for, you’ll dismount and stalk the final distance. 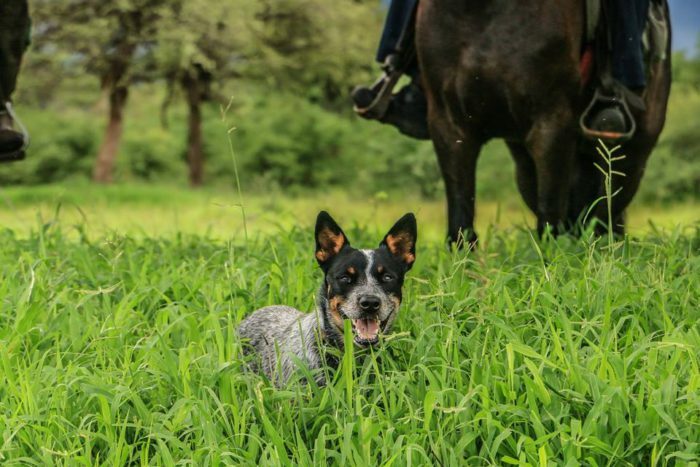 Our horses are part of the family, loved and well cared for, with breeds including Boerperd (a hardy bush type), Shire cross, Thoroughbred cross, and Percheron cross. Heights range from 15hh to 16.3hh, and we’re happy to take riders up to 100kg or 220lbs. Riders should be of at least intermediate level as you could conceivably spend quite a bit of the day in the saddle. 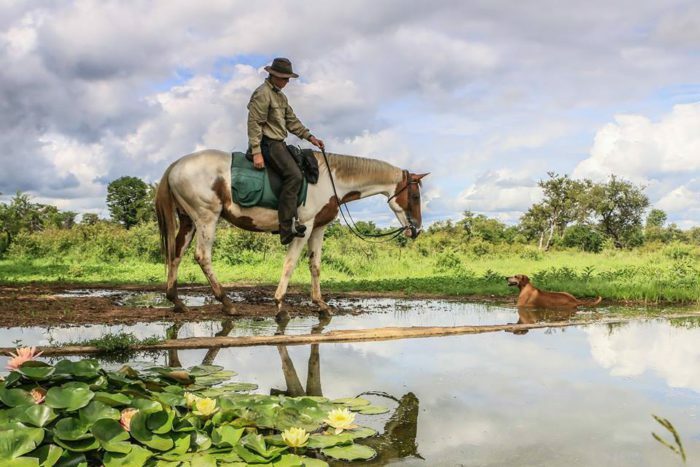 We have excellent quality tack and a range of saddles to fit different horses and different guests, with English leather, Leon Liversage Trailmaster and Australian Stock saddles all available. Our age limit for horse safaris is 12 years, however families with children below 12 years can be accommodated by prior arrangement. 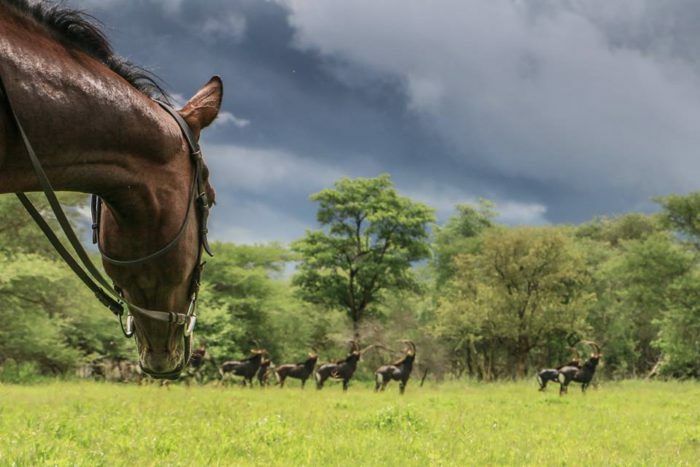 Horses need to be requested at time of booking your safari to ensure that the most suitable horses are reserved for your requirements.